This is obviously something we are extremely proud of and humbled by. 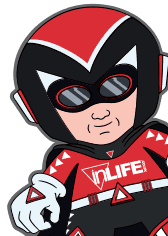 It would not have been possible without the awesome team at inLIFE as well as our wonderful clients and all their glowing reviews. So a big thank you to you all. These statistics are based on Google reviews, and also matching results on the ‘The Best of Staffordshire‘ (both individually and not combined!) . Each of these platforms reviews are also independently verified by the service provider. 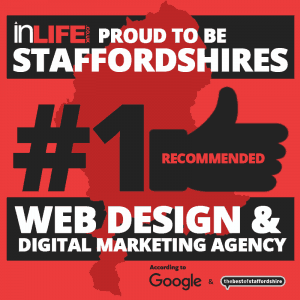 We love working with local companies providing Web design in Staffordshire and SEO in Staffordshire as well as a range of other digital marketing solutions. With our open office we also welcome all clients to come down for a chat or just a game on the arcade or pool table with us. Staffordshire is known as the creative county and we feel a proud part of it’s ethos! inLIFE now look forward to an ongoing relationship with local clients as well as continuing to grow our reputation moving forwards!